A province of incredible natural beauty, it is an exceptionally varied land. 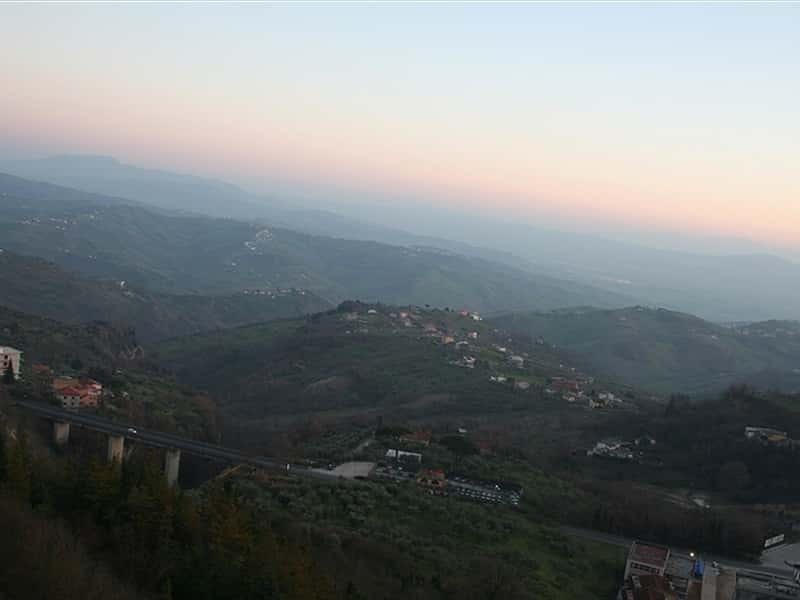 It's often called "Green Irpinia" because of the presence of mountains and natural sites of notable importance, like the Partenio Natural Regional Park and the Monti Picentini Regional Park. The name "Irpinia" derives from the ancient word "hirpius", wolf, who still live there. Irpinia is an authentic paradise for sports lovers and those passionate about the outdoor lifestyle. Every season offers the visitors any number of a wide range of outdoor activities: hiking, walking, trekking, horseback riding and skiing, the possibility of staying in lovely places like Volturara Irpina, Bagnoli Irpino (with its splendid Laceno highplains) and Campolaspierto, all equipped with modern ski-lifts and hotels. The entire region of Irpinia holds positions of pre-eminence for some crops that ensure products of very high value, among which are: hazel-nuts, for which Avellino province is the leading producer in Italy; chestnuts, cherries and dairy products, among which is the particularly popular "caciocavallo podalico" (gourd-shaped dairy cow's milk cheese) of Montella. But the essential ingredient of the typical cuisine of Irpinia is the extra-virgin olive oil. The wine-producing tradition is represented by three pearls of Italian wine: the Docg red wine, the Taurasi, that accompanies strong dishes and two Docg white wines, the Greco of Tufo and the Fiano of Avellino. This destination web page has been visited 190,751 times.